The first Much Marcle Steam Rally was held on the 19th & 20th July 1986. The Herefordshire Traction Engine & Vintage Club was formed. 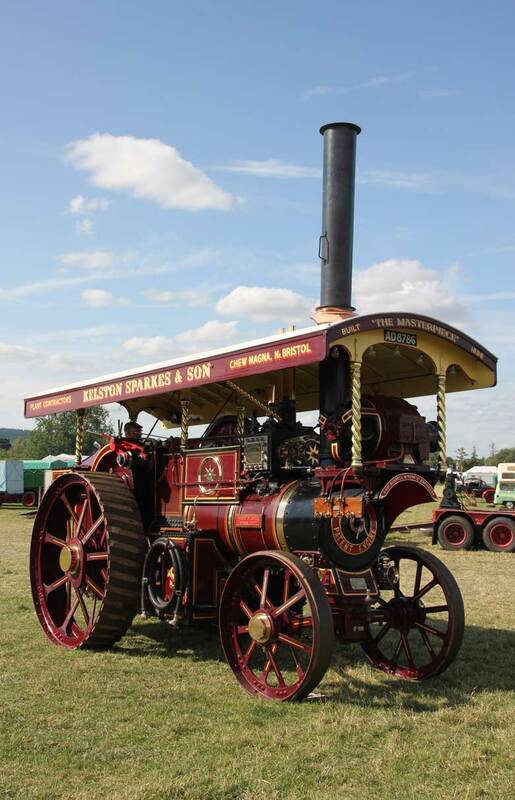 The current site became available when the Ross on Wye Steam Engine Society moved to the Upton on Severn area and a decision was then made to form the Herefordshire Traction Engine & Vintage Club. There are members in the club who have been with us since 1986. They have seen many changes over the years, the first rally programme consisting of 10 pages and costing 30p. The 2008 programme consisted of 54 pages and costed £1. Over the years the rally has grown tremendously and we have a wonderful number of exhibitors and supporters who look to come back year after year. Which is testament to the hard work put in by the committee and members over the years. We would like to thank our numerous sponsors, exhibitors and public for supporting us over the years.